The State of the State of Illinois Should be Embarrassing for Gov. Rauner But Will It? Illinois Governor Bruce Rauner will deliver his State of the State address today, and we don’t figure anyone will be happy with what he has to say, since the state is taking on more and more debt and yet still does not have a budget for last year, a situation that has placed nonprofits and the communities they serve at much risk. The standoff has Democrats insisting a tax increase is called for, with Rauner maintaining that he won’t go there without certain agreements such as limiting the power of unions. Rauner will apparently be emphasizing efficiencies in his speech, in preparation for beginning work on another annual budget even as this year’s remains unpassed. Meanwhile, from Crain’s Chicago Business, here is a short rundown of some of the ways in which the government’s stalemate is affecting local nonprofits. Homeless shelters, mental help counseling and in-home care for seniors are among the 30 programs Lutheran Social Services is closing because of $6 million in overdue bills from the state. The agency also is laying off 750 employees—about 43 percent of its staff. The programs closing served 4,700 people. Around the state, hundreds of human services agencies have made cuts and the future looks dire, according to a survey released Tuesday by the United Way of Illinois. It found that 85 percent of 444 agencies it queried this month have reduced the number of clients they serve since July, when the state’s annual budget should’ve taken effect. The agencies provide an array of services, including emergency housing, aid for disabled children, home-delivered meals for seniors and employment training. 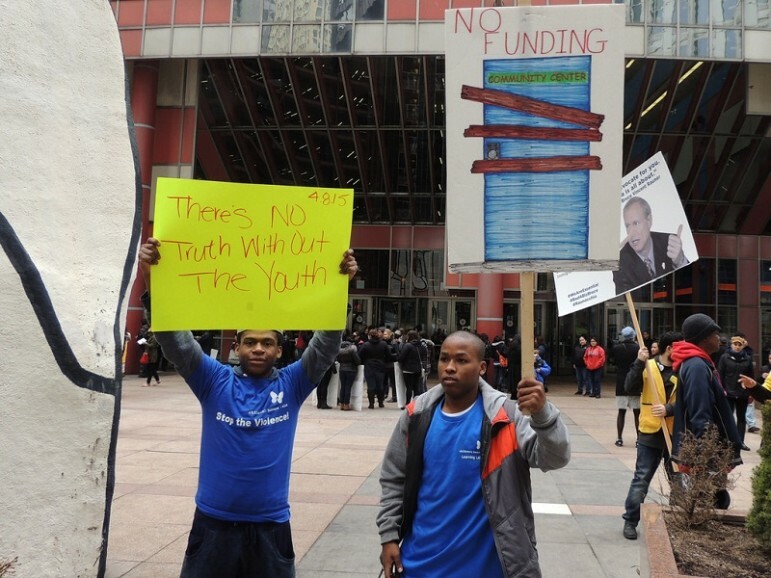 Chicago advocates pushed lawmakers ahead of Wednesday’s address to consider long-term impacts. Erie Neighborhood House, which helps low-income families, laid off staff and cut technology and afterschool programs affecting at least 250 people. “In this time in our city, in our state, those children, those youth and those adults need to have a place to be able to go,” said executive director Celena Roldan.